Proudly serving Fort Myers, Cape Coral, Naples, Florida & surrounding cities. Act of Class Moving is a family owned Fort Myers Moving Company based in Florida. We have over two decades of experience in residential moving, local moving, commercial moving, office & cubicle moving – across states and statewide in Florida. We offer the best of packing facilities for your valuable goods, electronic goods, jewelry and antiques. Our in-house team and licensed moving professionals have more than 20 years of combined industry experience. 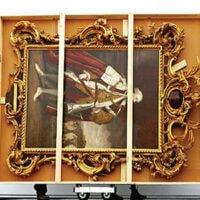 Act of Class is a Moving & Storage Company with access to over 40,000 sq. ft. of climate controlled storage in Southwest Florida and also provide full service as the most trusted Naples moving company and best moving company in Fort Myers. Due to our strong hold on Storage options, we offer reduced costs on the same to local movers. Our team also includes moving consultants with special expertise in Local Moving Services. And that is the reason, we are very confident about offering Moving & Storage Services to – Sanibel Island Movers, Bonita Springs Movers, Naples Movers, Marco Island Movers, Fort Myers Movers, Estero Movers, Sarasota Movers etc. Whether you are seeking local movers who can move you in the Fort Myers area, short haul relocation to the east coast or to another destination in Florida, you can count Act of Class to deliver. We specialize in household moves, Apartment Moving, office moving, and corporate relocation. Additionally, we also provide speciality services, to include Piano Moving, appliance moving, custom crating and packing. Relocation with our Fort Myers Movers will be handled by one of our professional moving consultants, who will be your primary point of contact throughout your moving process. Communication is key, and if you ever have a question please contact us. How can I fix a discussion or meeting with Act of Class? You can instantly fill in the Estimate form here or call us on (239) 249-3232 and our moving consultants will get in touch with you within 24 hours. Who are the partners of ‘Act of Class’ moving company? We have an array of business associates who partner at different levels. The same can be seen here. Can I store my goods with Act of Class until the office gets renovated? 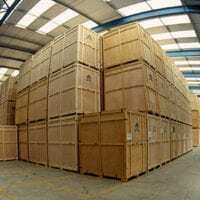 Yes, we have the storage space with the customized facilitation on storage duration, type, location, delivery & re-delivery. How about moving the Antiques and other Fragile Goods? Act of Class offers to provide a team of experts for moving Antiques and other Fragile Goods, they are the experts right from packing the goods, to taping, carrying and ultimately un-packing the same with great precision. Are we certified Movers in USA? Yes. Act of Class is a certified moving company. We are also members of AMSA (American Moving & Storage Association) and are also reviewed positively with Google, Angie’s List, Yelp, Houzz and additional 3rd party platforms. Yes, Act of Class does provide to & from delivery services per customer request. Who provides the packing material? Is the Storage Facility Climate Controlled? Yes. Act of Class has access to almost 40,000 sq.ft, of climate controlled storage space in Southwest Florida. Does a moving contract include insurance charges? We are a fully covered moving company and operate as per the Rights and Responsibilities ascertained by the U.S Department of Transportation.